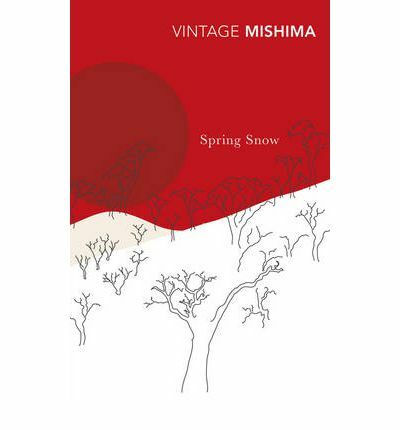 People do not give it credence that a fourteen-year-old girl could leave home and go off in the wintertime to avenge her father’s blood but it did not seem so strange then, although I will say it did not happen every day. 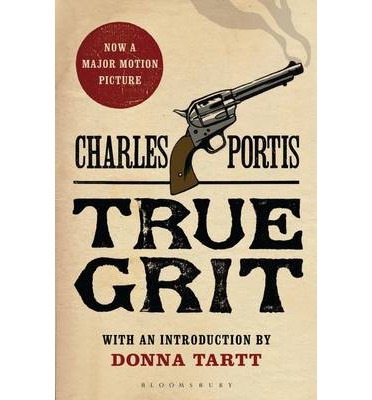 One of the main reasons I wanted to read True Grit by Charles Portis is that Donna Tartt has written an introduction about how much she loves the book. That alone would have pushed me to read a book in a genre I don’t normally reach out for but also serendipitously I found out my 8 year old nephew had borrowed the book off his best friend and now wanted to lend it to me. How could I say no? Frank Ross, on a trip to buy horses, is shot by his employee Tom Chaney and robbed. When his daughter Mattie travels across Arkansas to claim her father’s body, she makes it her business to find Chaney and get justice for her father’s murder. For a fourteen year old, she has determination and savvy that reluctantly, and grudgingly, earns her respect. For she has set her sights on Rooster Cogburn, the meanest Federal marshal there is, to accompany her to find the fugitive who has fled into dangerous Indian territory. Mattie’s pursuit of a man with true grit who will help her find her father’s killer and the rough terrain and desperate men she must subdue in order to get her justice is recounted in a gloriously stark way by Portis who eschews sentimentality for an honest, gritty portrayal of the Wild West and the characters who populate it. Portis’ novel surprised me in many ways. As well as the plot, which is a rather straightforward tale chronicling the hunt for justice, Portis throws in some fine characters and it is these people that Mattie encounters and her interactions with them that really bring out her character. Mattie and Rooster are brilliantly portrayed through their actions and dialogue. The latter, a grizzled bear of a man who spent his whole life amongst desperate men with nothing to lose and who is one himself. And yet there is a touching honesty to Rooster’s approach to life and others. ‘I am giving you my children’s rate,’ he said. It is exchanges like this that lifts what could be a grim tale into something a little more nuanced. This is also in contrast to the Texas Ranger, Sergeant LaBoef (pronounced LaBeef) who is handsome and vain and who is also on the hunt for Chaney. He quickly colludes with Rooster, trying hard to prevent Mattie from joining them but Mattie is resolute and her doggedness wins her their grudging approval and soon the trio make their way across hostile Indian territory. Mattie herself is a conservative, sober character, older than her years and yet with a naive view of the world where justice prevails and good and evil exist in stark contrast. It is her encounter with Rooster that gradually changes her perception of moral complexity. She is pedantic and often quotes from the Bible and yet she isn’t bound by conventional social rules, defying her mother and family lawyer’s wish that she return immediately for fear of her safety. In some ways, Portis’ portrayal of Mattie’s adventure resembles what we would probably expect in a conventional boy’s adventure. It’s certainly not what I expected for a girl of fourteen who is on the cusp of adulthood. The usual dangers one would expect didn’t really manifest or weren’t overtly stated. But it’s also one of the reasons why I loved True Grit. How rare is it to find such a strong character and one that is female? But we end the story realising that it is Mattie herself who has true grit. The ending itself is not what I expected and perhaps that is also another reason why the story remains so vivid in my mind. True Grit is indeed a special book, something altogether quite rare. Although it’s been adapted onto the big screen a couple of times, I do urge you to read the book. The writing is stark but it brings Mattie alive. I wanted to know what it was about True Grit that captivated Tartt and I think I found it. There is a semblance of Mattie Ross in Harriet Dufresnes, the protagonist of Tartt’s The Little Friend. Mattie is, of course, older and much stronger. But it has made me itch to re-read The Little Friend again and, perhaps, see it with new eyes. I’ll leave you with a quote from Tartt which beautifully captures what at some point we all feel when we encounter that special book. It’s a commonplace to say that we ‘love’ a book, but when we say it, we really mean all sorts of things. Sometimes we mean only that we have read a book once and enjoyed it; sometimes we mean that a book was important to us in our youth, though we haven’t picked it up in years; sometimes what we ‘love’ is an impressionistic idea glimpsed from afar (Combray … madeleines …Tante Leonie …) as opposed to the experience of wallowing and plowing through an actual text, and all too often people claim to love books they haven’t read at all. Then there are the books we love so much that we read them every year or two, and know passages of them by heart; that cheer us when we are sick or sad and never fail to amuse us when we take them up at random; that we press on all our friends and acquaintances; and to which we return again and again with undimmed enthusiasm over the course of a lifetime. I think it goes without saying that most books that engage readers on this very high level are masterpieces; and this is why I believe that True Grit by Charles Portis is a masterpiece. From the perspective of the secret police concealing a diary was a crime regardless of its content. It was an attempt to separate a citizen’s public and private life, when no such gap existed. And so we come to the concluding volume in Tom Rob Smith’s Soviet trilogy featuring ex-MGB operative Leo Demidov which began with Child 44 and continued in The Secret Speech. Agent 6 takes up the tale several years after The Secret Speech. It is 1965 and Raisa, now a headmistress and on the government’s education board has been given the task of taking a select group of pupils to the United States as a gesture of dialogue between the two conflicting countries. But she is under strict orders to maintain all proper guidelines as anything untoward will affect the world’s view of the USSR. Naturally Leo is unhappy with this, afraid that once Raisa and their daughters, who are accompanying her, leave Russia something will go wrong and he’ll never see them again. And even more so when he discovers his younger daughter Elena’s diary which has been secreted away in their flat. He has a bad feeling about all of this and his instincts are never wrong. And so Leo is once again caught in history’s talons, his destiny controlled by others. When the trip to the States ends in catastrophe, Leo once again finds himself on the wrong side of the State but this time he is out for revenge. No matter what happens, he is determined to get to the bottom of the events which tore apart his family and the people who orchestrated them. It is several years before Leo comes even close to finding out what happened in the States, but he never gives up. He re-enlists in the army and goes to Afghanistan, trying to forget his pain all the while planning on his next move while trying to keep his family safe. Smith interweaves Leo’s present barren predicament with short, sharp vignettes from his past. From his early career as an MGB agent to his first meeting with Raisa and later life in Kabul in the 1980s, Agent 6 presents a wide sweep of Soviet history and the shifting political landscape including the prevalence of McCarthyism in the States. Even in two such ideologically different countries, Smith skillfully shows how the methods of intimidation and relentless persecution don’t differ that much. Leo is a child of Stalinist Russia and his inherent paranoia and instinct for survival will never disappear. As much as Agent 6 is a novel of betrayal and revenge, it is also one of love and loss. Introducing the character of Jesse Austin, a famous black American jazz singer who is a vocal supporter of Communism, gives Smith an opportunity to show how Communism was perceived in the States and the ways in which the Soviets tried to exploit their most loyal overseas supporters. The scenes in which a young Leo is ordered to look after Austin on his visit to Moscow in the 1950s, how everything from his meeting with workers to a visit to the grocery store is orchestrated is almost comical if you can dismiss the consequences of anything going wrong. Austin’s subsequent persecution back in his own country is heartbreaking but is also a testament to the many victims of McCarthyism in the 1960s. I wasn’t sure how Smith was going to top Child 44 and The Secret Speech, having crammed so much into both novels from politics to human nature. 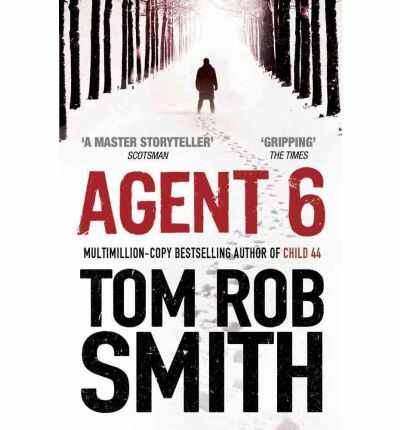 In Agent 6, he takes Leo’s story outside the USSR to New York and Kabul and the rise of the Taliban, although in hindsight, the career trajectory of an ex-Soviet agent is probably pretty limited. However, I’m not sure how successful this novel is compared to the previous two and how overall satisfying the ending is, although it’s probably the most realistic which, contrarily, is something I really liked about the novel. Perhaps Smith’s strength lies in his depiction of Soviet Russia, which he brings to life in all its frosty glory and paranoia. But the characters of Leo and Raisa are firmly entrenched and you can only continue reading to find out what happens to them and their family. The trilogy, although slightly uneven, is a triumph.